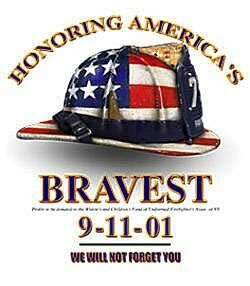 © Copyright 2006, Westfall Township Volunteer Fire Department. All rights reserved. Images may not be reproduced, duplicated or modified without the express written consent of the Westfall Township Volunteer Fire Department. 7/3/09 - DELAWARE TWP - At 13:53, The Dive Team was alerted for a confirmed drowning at Adams Creek in the National Park Service Area along US Rt 209. 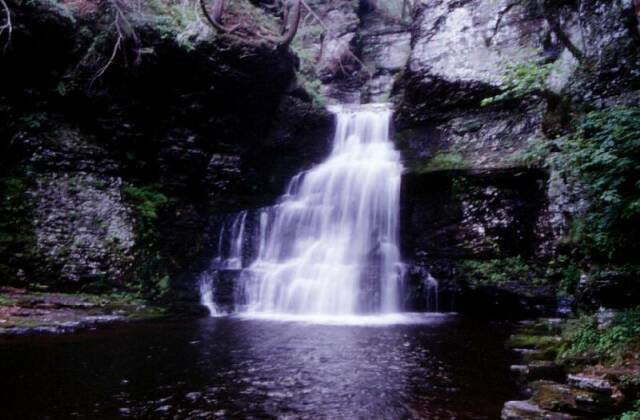 The Dive Team along with 5 divers arrived at the staging area and were led nearly 2 miles into the woods to the pool beneath the waterfall were the drowning occured. 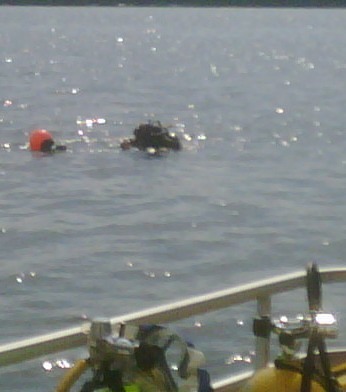 NPS Divers already in the water were in the process of a recovery. Westfall Divers assisted with carrying the victim the 2 miles back out of the woods to the staging area. 7/18/09 - PALMYRA TWP - At 1121, Station 37 along with several dive teams in the northern portion of Pike County were dispatched to Lake Wallenpaupack for a male boater missing in the water. On the 3rd day of the search, the Tri-State area Dive Teams were requested to assist in search in one of the largest man-made lakes in Pennsylvania. Dive Master Sweeney along with 3 Divers arrived at the command post and were directed to 37 pontoon boat along with Port Jervis and Sparrowbush divers. After a day of searching the deep cold waters our team was relieved by incoming New Jersey Dive Teams. On 8/01/09, after using a government side-scan sonar machine, a recovery was made by the Ledgedale (Wayne County) dive team. 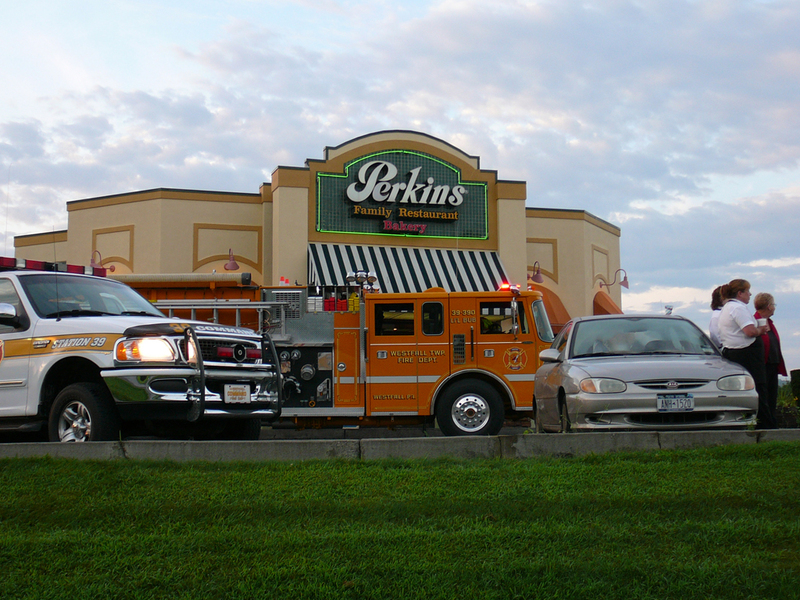 8/10/09 - WESTFALL TWP - At 06:12, a full response from Station 39 along with 32 Ladder responded to the Perkins restaurant in the Westfall Town Center for a report of a Structure fire. On arrival, 39-2 (AC Jacobs) was advised by the restaurant Manager that there was a fire in the kitchen. Crews from Engine's 1 & 2 quickly accessed the kitchen where the ansul system had already activated. A small fire that started near the grill extended to its surroundings. The area was overhauls and grill disconnected with minimal damage. 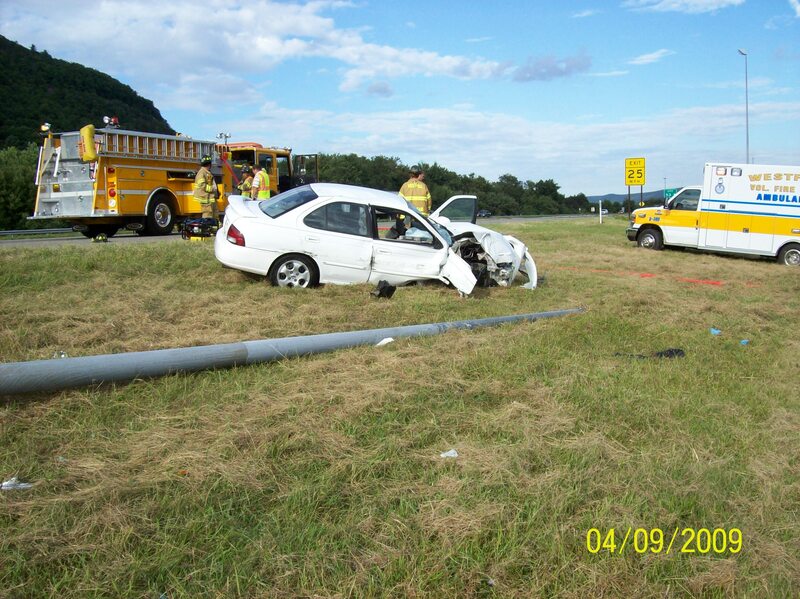 8/11/09 - WESTFALL TWP - At 10:44, Squad 39 along with Fire Station 34 were both alerted for an Auto Accident on Delaware Drive near Glass House Hill. A-398 and 34 Tanker arrived to find a contractor's van overturned in a culvert with the occupant confined to the drivers area. 39 Engine 2 was requested to the scene to assist with stablization and manpower. With the use of step chocks and rescue struts the personnel made access to the patient also removing the back the drivers seat. Units returned to service at 12:10 hrs. 8/23/09 - WESTFALL TWP - At 13:47, The Tri-State area Dives Team were dispatched to the Delaware River near Staircase Rapids for a missing rafter. Once on scene of a severely swollen river, it was learned that the National Park Service had already been dispatched for an overturned raft. An NPS ranger pulled one individual from the water and two others were able to swim to shore. Unfortunately, one man was pulled under and was missing. Due to the muddy water and extreme current, no scuba operations took place and a surface search was unfounded. For the next 3 days as water conditions improved, 39 boat and divers along with several other area dive teams assisted NY State Police divers with the ongoing search for the missing rafter. On 8/26/09 while scuba search operations were taking place, it was reported that a body had been seen floating downstream. 39 boat & PJFD boat responded to the location and were able to recover the rafter's body. 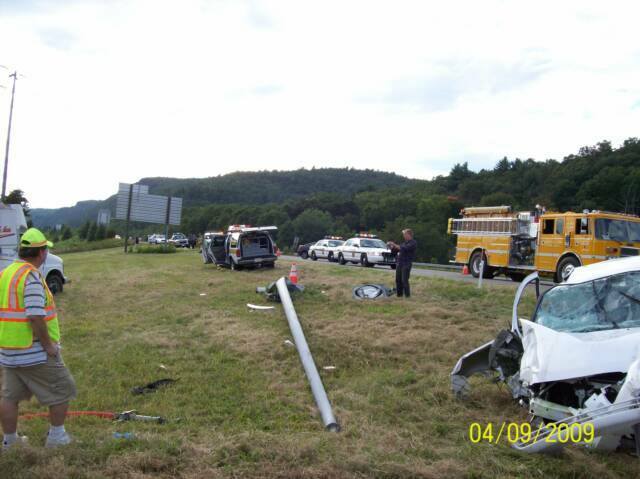 9/4/09 - WESTFALL TWP - At 16:41, Fire Station & Squad 39 were alerted for an Auto Accident on I-84 near exit 53 East. PC-911 advised responding units that the vehicle struck a light pole that landed on top of the vehicle with the occupant trapped. 39-2 (AC Jacobs) arrived on scene and confirmed the dispatch and requested medevac on stand-by. A local electrician passing the scene noticed the accident and stopped to render aid by deenergizing the pole. 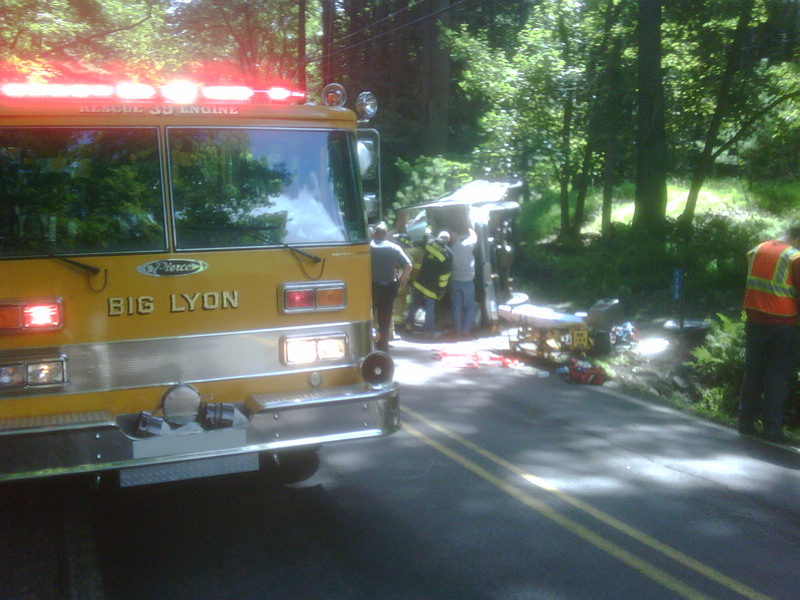 On arrival, crews from 39 Engines 1 & 2 went to work on freeing the unconscious driver from the vehicle. EMS personnel from A-398 and Regional ALS requested Medevac to fly. 32 Engine established a landing zone at a nearby field. All units cleared the scene at 17:45.